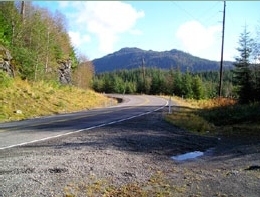 In October 2010, staff in the Organized Village of Kasaan, located on the Prince of Wales Island in Alaska, wanted to perform a Road Safety Audit (RSA) on the Island's rural roads. The Village wanted to use the RSA to be proactive in their attempts to improve the safety of their rural roads due to lack of proper signing, potential roadside hazards, and poor delineation on horizontal curves. 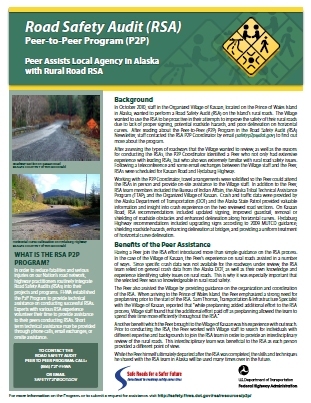 After reading about the Peer-to-Peer (P2P) Program in the Road Safety Audit (RSA) Newsletter, staff contacted the RSA P2P Coordinator by email (safetyp2p@dot.gov) to find out more about the program. After assessing the types of roadways that the Village wanted to review, as well as the reasons for conducting the RSAs, the P2P Coordinator identified a Peer who not only had extensive experience with leading RSAs, but who also was extremely familiar with rural road safety issues. Following a teleconference and some email exchanges between the Village staff and the Peer, RSAs were scheduled for Kasaan Road and Hydaburg Highway. Working with the P2P Coordinator, travel arrangements were solidified so the Peer could attend the RSAs in person and provide on-site assistance to the Village staff. In addition to the Peer, RSA team members included the Bureau of Indian Affairs, the Alaska Tribal Technical Assistance Program (TTAP), and the Organized Village of Kasaan. 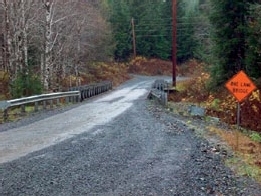 Crash and traffic data were provided by the Alaska Department of Transportation (DOT) and the Alaska State Patrol provided valuable information and insight into crash experience on the two reviewed road sections. On Kasaan Road, RSA recommendations included updated signing, improved guardrail, removal or shielding of roadside obstacles and enhanced delineation along horizontal curves. Hydaburg Highway recommendations included upgrading signs according to 2009 MUTCD guidance, shielding roadside hazards, enhancing delineation at bridges, and providing a uniform treatment of horizontal curve delineation. Having a Peer join the RSA effort introduced more than simple guidance on the RSA process. In the case of the Village of Kasaan, the Peer's experience on rural roads assisted in a number of ways. Since specific crash data was not available for the roadways under review, the RSA team relied on general crash data from the Alaska DOT, as well as their own knowledge and experience identifying safety issues on rural roads. This is why it was especially important that the selected Peer was so knowledgeable in rural road safety. The Peer also assisted the Village by providing guidance on the organization and coordination of the RSA. When arriving to the Prince of Wales Island, the Peer emphasized a strong need for preplanning prior to the start of the RSA. Sam Thomas, Transportation & Infrastructure Specialist with the Village of Kasaan, reported that "while preplanning added additional effort to the RSA process, Village staff found that the additional effort paid off as preplanning allowed the team to spend their time more efficiently throughout the RSA." Another benefit which the Peer brought to the Village of Kasaan was his experience with outreach. Prior to conducting the RSA, the Peer worked with Village staff to search for individuals with different expertise and backgrounds to join the RSA team in order to provide an interdisciplinary review of the rural roads. This interdisciplinary team was beneficial to the RSA as each person provided a different point of view. While the Peer himself ultimately departed after the RSA was completed, the skills and techniques he shared with the RSA team in Alaska will be used many times over in the future. What is the RSA P2P Program? In order to reduce fatalities and serious injuries on our Nation's road network, highway practitioners routinely integrate Road Safety Audits (RSAs) into their projects and programs. FHWA established the P2P Program to provide technical assistance on conducting successful RSAs. Experts with various RSA experience volunteer their time to provide assistance to their peers conducting RSAs. Short term technical assistance may be provided through phone calls, email exchanges, or onsite assistance.